There has been a big shift in recent years towards online casino play. Both traditional casino players and new players alike are getting to grips with the online versions of pokies. Traditional casino players will fortunately recognise a lot of online pokies from the electronic machines in casinos, but new forms are always being developed. Pokies with cutting edge graphics, special online features and new play modes are emerging all the time. This article will take a look at pokies from a completely new player’s point of view, explaining what they are, how they work and what to expect when you play. We’ll look at how online pokies have evolved from the traditional kind to online and mobile. We’ll also examine some of the games produced by big pokie developers. Pokies are also known as slot machines, games made for the purpose of gambling. Traditionally, they would be physical machines with a set of reels, which bear several symbols. The reels spin mechanically to generate a random set of those symbols when they stop. The goal is to have the reels land with a winning combination in view. The combination is usually read along the middle line, while the type of symbol decides the win amount. With the move into the digital world, pokies both offline and online are now regulated by a random number generator, which uses mathematics instead of machinery to generate a fair, random result. Therefore, computer programs handle the selection of reels and fairness is regulated by the random numbers, plus the oversight of bodies like eCOGRA. As pokies can now get more complex and feature video animations, reels can have several winning lines or paylines, not just straight across the middle. They also have special symbols which trigger bonus rounds. Thanks to this, pokies have just as much excitement and engagement as traditional table gambling. Online casinos vary in what typoes of game they offer, but generally you will find at least three. The mainstay of online pokie play is video pokies, which are the latest kind and run much like a video game. 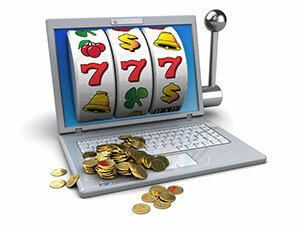 Some online casinos offer classic 3 reel pokies too, which operate like virtual representations of traditional machines. Almost all online casinos also feature jackpot pokies for huge wins. The individual games available can vary even more, from one site to the next. Some are based on well-known titles from the movies, while others are developed purely for pokie players and feature original characters. 3 Reel pokies are probably the most familiar to new players, or to those who play more in games arcades and land based casinos. This category of pokies is the most straightforward, with 3 reels aligned in a row. The reels spin and land with three symbols showing, usually read from left to right. These classic pokies have less bells and whistles than others, but are also more casual to play, with less complications and no stopping for fancy bonus rounds. They make a great introduction to pokie gaming as you only need to watch for a matching set of three symbols, landing in the middle of the reels. While many sites have a limited amount of these pokies, they tend to have a strong following and their simple nature makes it easier for players to control spending. Video pokies tend to go beyond three reels, into five. This allows for a much wider combination of symbols and therefore more features. You see more unexpected results from video pokies and they tend to play on more than the middle line, with most having around 20, or even 50! This can become a little chaotic, but players love them for their variety. Video pokies get their name from being like video games, with the reels feeling less like solid reels and being more of a representation. Some games dispense with the reels entirely and just drop columns of symbols; the end result is the same, as the random number generator does the work and the result shown to the player is just an animation. The plus side to that is that features can be really fun, with bonus symbols triggering animated mini games, such as popping balloons to reveal prizes or taking part in a race between characters. Video pokies are known for increasingly sharp graphics, allowing them to be themed on major movies like Iron Man and TV shows like Game of Thrones. Jackpot pokies, also known as progressive jackpot pokies, are usually based on video pokies but they can also be 3 reel types. The element which distinguishes jackpot pokies from other types is their jackpots, specifically large jackpots which go beyond the usual symbol combinations on other pokie types. Progressive jackpots get their name from the way they are formed. The jackpots are similar to the traditional idea of a prize pot, in that they’re formed by everyone playing. Each time a player makes a bet on a progressive jackpot pokie, a small cut goes towards the jackpot. This is where the progressive part comes in, because the jackpot is constantly rising as people contribute to it. The bigger a jackpot gets, the faster it climbs, because larger pots attract more players. This leads to sky rocketing jackpots which can make instant millionaires. The jackpots are often won through a special feature, or can be randomly dropped on any spin of the reels. Jackpot pokies give a taste of a competitive, collaborative type of gaming between pokie players. The amount of choice in online pokies can be a little daunting. Aside from the three types listed above, there are also other special varieties and each category has a whole host of individual titles to play. The best way to make your choice is to consider what you want to get out of them, or try demo mode where available. For example, those after big money should consider jackpot pokies, while those looking for smart graphics and features to uncover will enjoy video pokies with big movie characters. Demo mode or practise play is available on most online casinos, or some instead offer free spins or welcome bonuses to play with. This allows you to pick a game and give it a try without losing anything. Pay attention to the game’s animations and features, rather than wins. After all, wins and losses vary all the time, but the fun of the game itself is what you actually experience. There will always be some debate about the virtues of playing pokies offline and online. The differences mostly lie in the practical aspects of online vs land based casino play, but also in the variety of games available and the surrounding benefits of either offline or online play. The first and most obvious difference between offline and online pokies is the environment; bricks and mortar casinos compared to playing at home. Being able to play at home over the internet has a huge financial and time benefit. Traditional casinos usually require some travel to get to, perhaps even needing a hotel room, which quickly takes up a lot of time and money that could be put to direct use on the pokies. Players at home on their computer get to stay warm, cosy and don’t have to spend anything other than their wagering money, plus they don’t have to pay casino prices for drinks and snacks. Conversely, online players don’t enjoy the benefits of traditional casinos, such as the glitz and glamour, the thrill of sharing wins with other players, the fine dining and buzz of the casino floor. When it comes to the games themselves, traditional casinos increasingly offer the same video pokie machines as online casinos. The difference is that online casinos often have more variety, while offline casinos have the tactile enjoyment of putting the money in the slot, gathering winnings, or watching the actual reels spin on classic pokies. Payout percentages refer to the amount of money a player gets, as a return on their wagering, on average. This figure is also known as the RTP or Return To Player. Generally speaking, a slot with a higher payout percentage is more beneficial to the player, though it’s worth bearing in mind that enjoyment of the game (features, animations, and so on) probably plays a bigger role in day-to-day play. The actual percentage figures usually range from 90% to 98%, though this varies by game and region. So, when playing a pokie with a 95% RTP, the average player would get AU$95 back when they wager AU$100. The return of 95 is divided by the expense of 100 to get 0.95, then multiplied by 100 to get the percentage of 95%. It’s important to note that this is the average based on thousands of players or more, not each individual player! You can and will have sessions where you get less or more. In other words, you might have a session where you only get half of your money back, putting you below average, while the next player has an above average session and makes a profit. Simply put, the average payout applies to everyone as a whole, but it still helps to aim for a higher percentage pokie because the odds are slightly more in your favour (the house or casino makes less as the percentage goes up). One of the largest providers of online pokies, as well as video pokies for land based casinos, is Microgaming. They have played a role in online casinos from the very start, back in 1994. They’re based on the Isle of Man and have grown to be a leading name globally, winning awards from bodies like the EGR Awards. Microgaming produce a lot more than pokies too, including virtual table games, sports betting, bingo and more. Microgaming’s pokies are probably their best-known products, developed using cutting edge technology which can adapt downwards to still be playable by slower machines. They focus on graphically attractive games, which are powered by an approved Random Number Generator. Microgaming make a lot of movie and TV tie-in games, using popular characters to create exciting features, such as Jurassic Park, Terminator 2 and The Dark Knight Rises. They also produce great original titles like Thunderstruck and Avalon, that you’ll only see in the casino world. One of their most recent and very popular titles is Game of Thrones, based on the hit HBO series. On this 5x3 reel game you can play features based around the four houses of the TV show’s world. Lands a House Stark feature to claim 14 free spins with a 3x multiplier and reels adorned with Stark symbols stacked five high. You can even flip a Braavosi coin to gamble as you advance along a map of the fictional world. Clearly, this kind of game is cutting edge and elevates pokies to high standards, yet it’s also available to play on mobile. Playtech is another huge name in online pokies, which you will come across when playing many websites. They were formed in 1999 in Tartu Estonia and have a strong focus on development, rapidly building a name for themselves in the online world. They have become providers of multi-channel content for several big gaming platforms, such as the huge bingo provider GTS and Ash Gaming, a leading mobile gaming enabler. Playtech have a large suite of games from table games (including a new live dealer system) and poker. They offer over 500 games in total and some of the strongest are their pokies. Playtech focuses on original titles and has created some much loved pokie characters. They produce Cat Queen with an exotic Egyptian feel and the cute Foxy Fortunes. Moving into known character tie-ins, they produce a hilarious Monty Python Spam-a-Lot game and a series of Marvel character pokies. One of Playtech’s latest additions is Top Gun, based on the iconic film of the same name. This officially-licensed game captures the adventure atmosphere of jet flying, in the retro tones of 1986. Playtech have incorporated all the main characters from Tom Cruise’s Maverick to his wingman Goose. The bonus round showcases the amazing F-14 Tomcat fighter jet that made the movie famous.